The Roost is owned and operated by Dallas and Sarah Bohl. Sarah grew up on the 10 acre farm where the Roost is located. 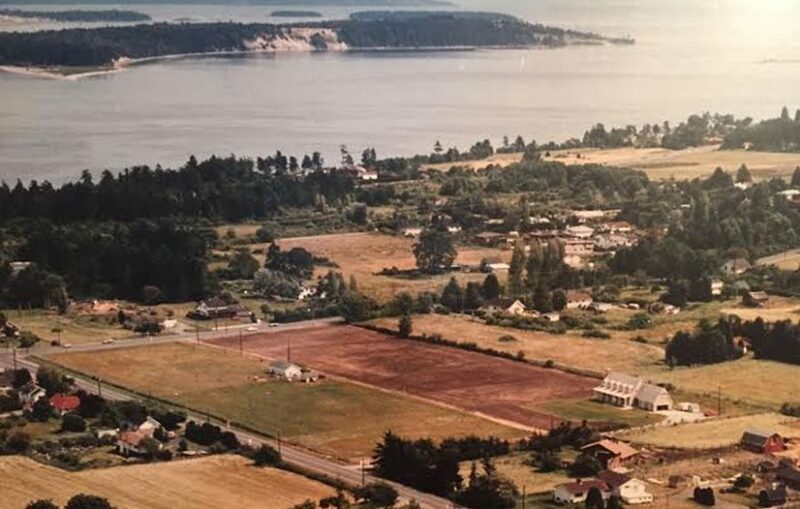 In the 90’s, Sarah’s family had a dream of building a bakery where people could sit and enjoy this beautiful piece of Vancouver Island, while nibbling on yummy baked goods made from produce grown on their farm. The Roost Farm Bakery opened in 2002 and has grown steadily ever since. Over the years we have added a garden market, cafe, winery, outdoor Bistro and event area. Sarah’s dad, Hamish, still grows the wheat, berries, chickens/eggs and other produce used to make the items that we sell. 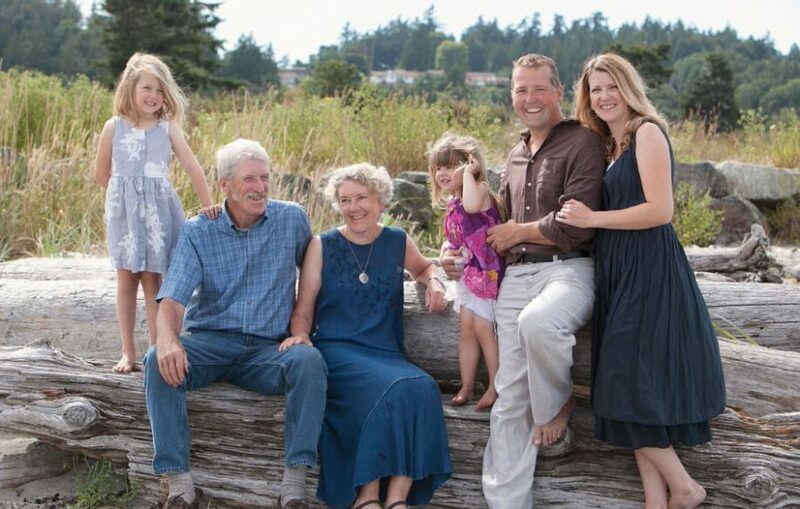 In the heart of North Saanich along a pastoral landscape focused on local & sustainability. The Roost sits on 10 acres of farmland where we grow many items used to produce the food & wine we proudly serve. The wheat grown & milled on-site is used to bake our fresh breads daily. Grapes and fruits are grown at the farm, we also buy from our neighbours to keep our ingredients local. The vineyard is 2 acres of lush Siegerrabbe grapes exclusive for our boutique winery. We are very proud that our estate wines are 100% grown & produced on the farm. The Roost has come from what was once an essentially bare piece of land…with only two sheds and some rogue asparagus covering the landscape. Hamish Crawford, often covered in remnants of soil, twigs and/or chicken poop is the founder and farmer. Hamish was born in Kilmacolm, Scotland, where he earned a diploma in agriculture from the University of Edinburgh. He came to Canada in 1965 where his career path included sone time with National Grain followed by 30 years with Shell Canada. He and his family moved to North Saanich, from Alberta, in 1989…following the dream of living on the temperate west coast and having a piece of Vancouver Island dirt to dig into. They lived in the little shed in the middle of the property while they built their beautiful home at the back of the 10 acre piece of property. A few sheep and two breeding pairs of ostrich were quickly acquired. Hamish then got out his shovel and planted 2 acres of fruit trees, 4 acres of wheat and 2 acres of vines filling with luscious grapes soon followed. Hamish and his pal Con built The Roost in 2000/2001. The Roost certainly puts good use to the plentiful eggs, 20,000 pounds of grain, 2,000 pounds of blueberries, and countless pounds of fruit and veggies he grows every year. Hamish continues to add to his menagerie with new pheasants, doves, greenhouses, sheds and pizza ovens…not to mention the Vineyard Bistro where we display and serve our estate wines. 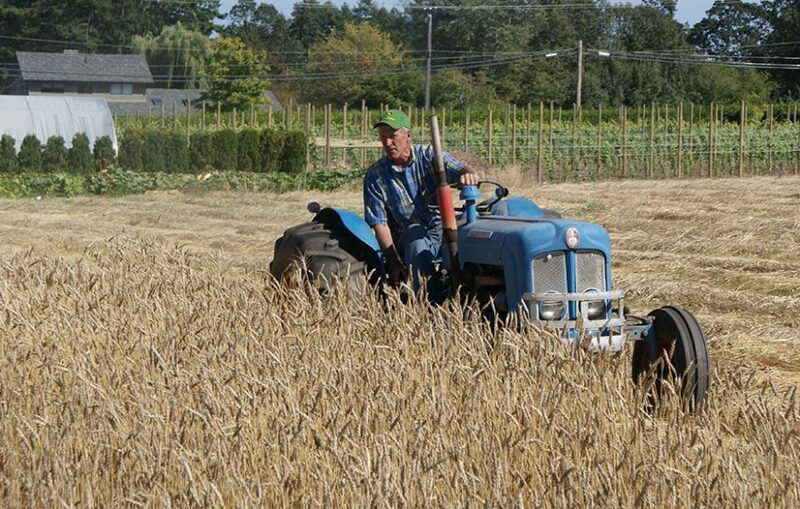 Hamish is one of the many farmers in the area that work hard to put healthy, locally grown food on the tables. They are the un-sung heroes of our community but here at the Roost, we know and appreciate the important roles they play!